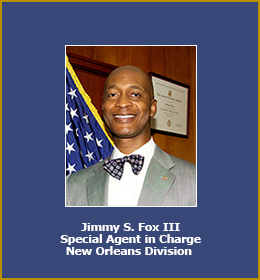 Jimmy S. Fox, the special agent in charge of the DEA’S office in New Orleans, is retiring after a newspaper report exposed a potential conflict of interest, the Times-Picayune reports. The newspaper wrote that Fox was bidding to oversee a consent decree between the Justice Department and the city of New Orleans. Fox was part of a joint venture to bid on the oversight, which is a potential conflict of “revolving door” laws that govern side employment of federal authorities. Fox also can’t lobby the DEA as part of the oversight process, the Times-Picayune reported. Jeff Schlanger, president and CEO of KeyPoint, which is pursuing the bid, said Fox may not do the job. Posted: 1/11/13 at 10:22 AM under News Story.